This course is eligible Continuing Education Units (CEU) and Professional Development Units (PDUs)! CEUs can be registered with the Engineering Institute of Canada. This course counts for 1.20 CEUs. Note: The course agenda is subject to change. Updated October 01. 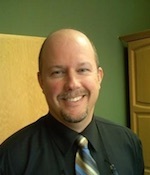 Mr. Tétreault has been with VibroSystM since 1995. He originally worked in field service, where he gained experience in installing monitoring systems worldwide. In 2000, he was appointed head of the technical support group, as well as head of the software development group. In that time, he worked on many projects involving rotor/stator dynamics through air gap monitoring; absolute and relative vibration; rotor/stator temperature monitoring; magnetic field monitoring; turbine clearance monitoring amongst others. In December of 2010, he was appointed Director of the Tests and Diagnostics division. Mr. Tétreault is based at VibroSystM headquarters in Longueuil, Québec, Canada. His experience in installation and commissioning of monitoring systems, as well as over 10 years of analyzing results, has given him a wealth of knowledge in regards to large rotating machines, including hydro-generators, turbo-generators, as well as SAG Mills and Ball mills. He frequently travels worldwide conducting various machine behaviour training sessions for power utilities and mining companies in order to help customers better manage their machines. Mr. Tétreault is a member of IEEE and a member of CIGRÉ A1 committee (Rotating machines). He has published many papers on hydro and turbo- generators at various conferences and collaborates with many international organizations, such as the publishing of the End-Winding vibration tutorial issued by EPRI (Electric Power Research Institute).